The Einböck ROTARYSTAR promises high area performance, versatility and high adaptability. The rotating working tools (rotor stars) reliably breaks and crumbles soil crusts, caused by heavy rain. High operating speed of 12 – 25 km/h makes the rotary hoe very powerful. It can be used at the most various crops. Due to the rolling rotor spikes crops residues are not dragged, therefore the ROTARYSTAR is ideal for weed control in mulch seedbeds. The lighter weeds remain in the air longer than soil clods and are on the top after passing. The weeds dry out quickly and stop growing. The disc arms are preloaded by torsion springs and distributed in two rows on 1.5 m wide sections. The narrow disc distance of 9.4 cm and the high operating speed ensures that the soil profile is completely tilled. Therefore shallow-rooted weeds have no chance. Via the hydraulically actuated parallelograms the spring force can be adjusted during the work, according to the prevailing conditions. In addition, this system allows hydraulic levelling therefore even on very uneven fields the same working depth is kept over the entire working width. 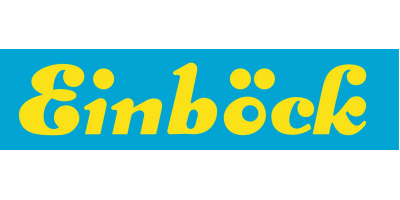 For simultaneous sowing of undersown crops it is possible, of course, to mount one of the Einböck seeders P-BOX SPEED, PNEUMATICBOX or ROTOSEEDER. No reviews were found for Rotarystar - Model 3.00 m, 4.80 m, 6.00 m + 6.40 m - Rotary Hoe. Be the first to review!